Balzer + Bray, 9780062187543, 384pp. 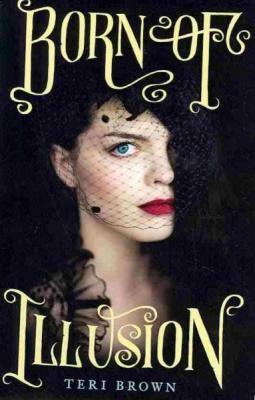 For fans of Libba Bray and Anna Godbersen, this thrilling historical suspense novel is the story of a budding magician who has spent her life playing sidekick to her faux-medium mother—and trying to hide the fact that she possesses magnificent powers. As the illegitimate daughter of Harry Houdini—or so her mother claims—gifted illusionist Anna Van Housen easily navigates the underground world of magicians and mediums in 1920s New York, though the real trick is keeping her true gifts secret from her opportunistic mother. But as Anna's powers intensify, she experiences frightening visions that lead her to explore the powers she's tried so long to hide. Lovers of historical fiction and stories filled with romance and intrigue will fall for Born of Illusion and its whip-smart, savvy protagonist.